The sound of mahjong tiles being shuffled resonates long after the game is over. This piece is a culmination of the previous parts of the series A story still exists here. White plaster mahjong tiles will form a centrepiece in front of the video. 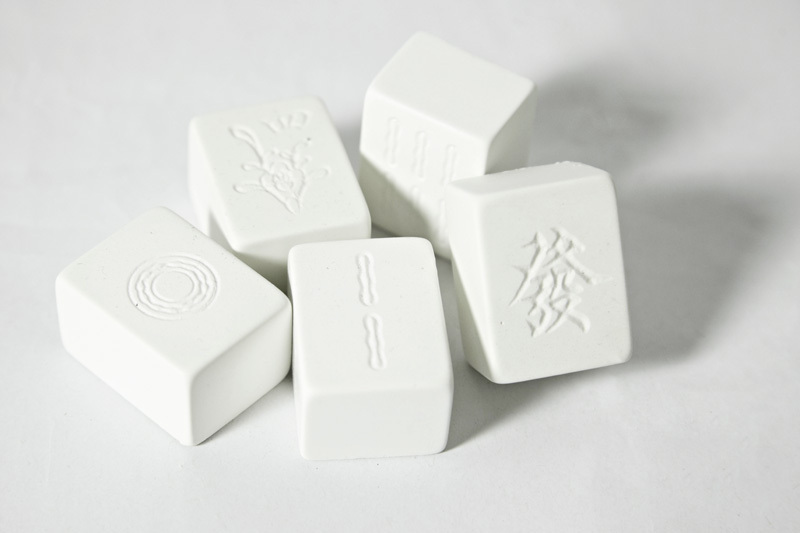 The tiles representing stories told over games of mahjong that linger long after the player ceases to exist. The colour white being associated with death and funeral practices in Chinese culture. The video follows on from These Four Walls, illustrating the story that exists between those two images.